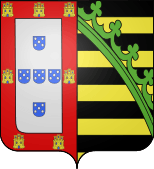 For other people with the same name, see Ferdinand of Portugal. 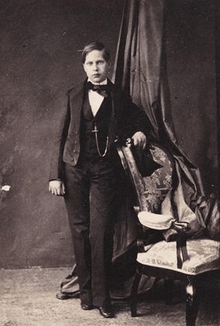 Infante Fernando of Portugal (Fernando Maria Luís de Saxe-Coburgo-Gotha e Bragança; 23 July 1846 in Lisbon – 6 November 1861 in Lisbon) was the fourth son of Queen Maria II of Portugal and King-consort Fernando II and a member of the House of Braganza. Fernando was a Lieutenant in the Fifth Battalion of Caçadores, and received the Grand Cross of the Order of Our Lady of the Conception of Vila Viçosa. With two of his brothers, King Pedro V and Infante João, Duke of Beja, Fernando died of typhoid fever or cholera in late 1861. He was buried in the Royal Pantheon of the Braganza Dynasty.